At Huff ‘N Puff, our goal is to save you time and money even as we work to improve your home with everything from replacement windows to heated gutters in Catskill, NY. We’ve been in the business for over 40 years, and have used those decades to apply knowledge and experience on the best methods and products to use on every job. No matter how big or small, we know that every job is vital to our future and every customer is important to our reputation. We’ve worked on over 35,000 homes during our time in business, and have gained a reputation as an honest, hard-working company that you can trust to do the best work on your home. All of our products are installed by professionals to protect their warranty, and we provide timely, affordable service for many of your home’s biggest ailments. Our customers rely on us for quality work and the best in products from us when they come to us for any of our services. Gutter Helmet: Use Gutter Helmet products to cover your gutters and keep them free and clear of debris that backs up and causes water damage. Patio and Entry Doors: Choose from a variety of entry and patio doors that protect the climate in your home and increase your curb appeal. 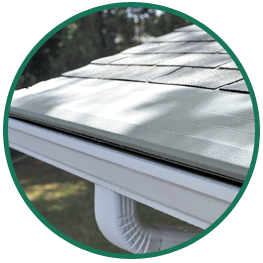 Seamless Gutters: Flawless, seamless gutters that stand the test of time. Helmet Heat: Prevent ice from building up in your gutters with heated gutter systems installed by Huff ‘N Puff. 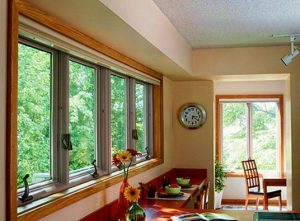 Replacement Windows: Choose from several types of replacement windows to seal your home and increase your energy efficiency, saving you money each month on utilities. When you have Huff ‘N Puff on your side, you can rest easy knowing your home is ready for whatever Mother Nature throws its way. Call us today at (855) 483-3678 or fill out our online contact request to receive a quote for any of our services.